Change is inevitable. On construction projects a more appropriate statement might be that change orders are inevitable. 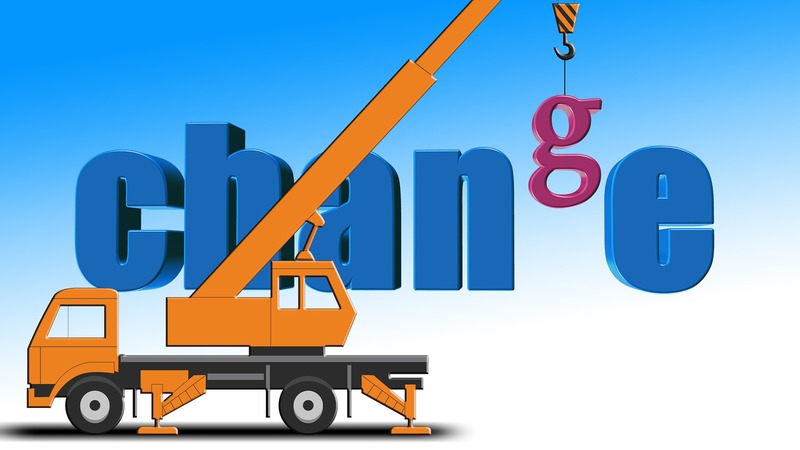 If the thought of a change order makes you cringe, it may be time to take a look at tweaking your change order process. This panel presentation will review and discuss best practices and tips for an effective change order process. Scott has worn many hats in the construction industry as a Subcontractor, General Contractor, and currently working for Advocate Healthcare, representing the Owner in all aspects of the Planning, Design, and Construction process. With over 20 years of experience and projects ranging from Higher Education, Retail, Gaming, Data Center, Mechanical, Industrial and Healthcare he brings a wealth of experience and perspectives to the Industry and Classroom. In his current position he manages Healthcare projects ranging from $100k to well over $100 million for one of the Chicago areas largest Hospitals. This unique position requires him to manage projects from their early inception to final completion working with Planners, Hospital Staff, Architects, Engineers, Regulatory Agencies, Local Authorities, Safety Officers, General Contractors, Equipment Suppliers/Installers, Commissioning Agents and the Illinois Department of Public Health. Scott also serves as an Adjunct Professor at Northwestern University in the Masters in Project Management Program. Other teaching opportunities he participates in includes; Guest Lecturing at Purdue University for Healthcare Construction classes and acting as a Domain Expert in Estimating for the Northwestern Civil Engineering undergraduate Senior Design Course. Craig is a Vice President with Clarius Partners and is responsible for financial management, debt and equity financing, and marketing of new business opportunities. Craig also is involved in the entitlement, design and construction management of development projects and the management and leasing efforts for various properties. Craig’s diverse background and skill set allows him to manage multiple complex, time sensitive and budget sensitive projects while helping all parties involved with the development project meet their goals. Prior to Clarius Partners, Craig was a Project Executive for Pepper Construction Company. While at Pepper, Craig was responsible for $207 million in construction across multiple asset types. His responsibilities included business development, design process and schedule management, budget management from concept through project completion, subcontract execution and management, permitting and coordination with local authorities having jurisdiction. Craig graduated from the University of Illinois at Urbana-Champaign with a Bachelor of Science degree in Civil Engineering. Craig also has earned a Master of Business Administration degree from the University of Chicago Booth School of Business. Craig is a LEED® Accredited Professional and a member of the Chicago Chapter of NAIOP. Since joining Pepper in 2006, Rob has completed more than 1.5 million square feet of work across commercial office, K-12 and higher education projects. With nearly 20 years of industry experience, he leads teams throughout the pre-construction and construction planning process. Rob excels at integrating with the owners and project team to ensure desired results are achieved. His ability to work through the complexities of constructability issues combined with his broad understanding of the larger industry allows him to navigate client needs while also providing realistic options. Rob holds a Bachelor of Science in Industrial Technology from Eastern Illinois University. Ryan has been a full time electrical project manager for 7 years. Ryan has worked in the Commercial Electrical Construction Industry for 12 years, over 10 of which were at Titan Electric. He started as the purchasing agent while also learning detailed estimating, electrical project management and the construction industry including electrical instruction classes through the Commercial Contractors Association. Focused most recently in the commercial interiors market, Ryan has successfully completed over 70 projects for various customers, including general contractors and end-users.